YOU MUST BE REGISTERED AND LOGGED INTO YOUR ACCOUNT to order this product. Please LOGIN to your account or click here to REGISTER. This is a PREORDER RESERVATION and it is expected in 2019. 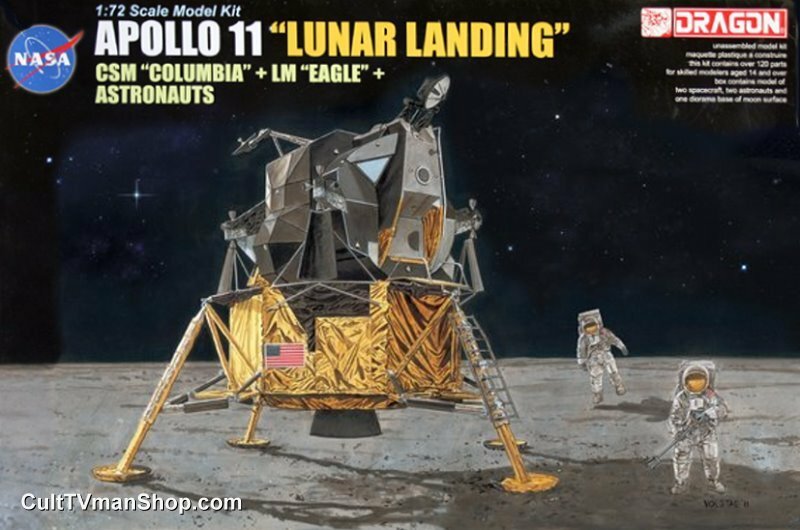 Please see the Preorder instructions below..
Reissue of the detailed model kit of Apollo 11 from Dragon. 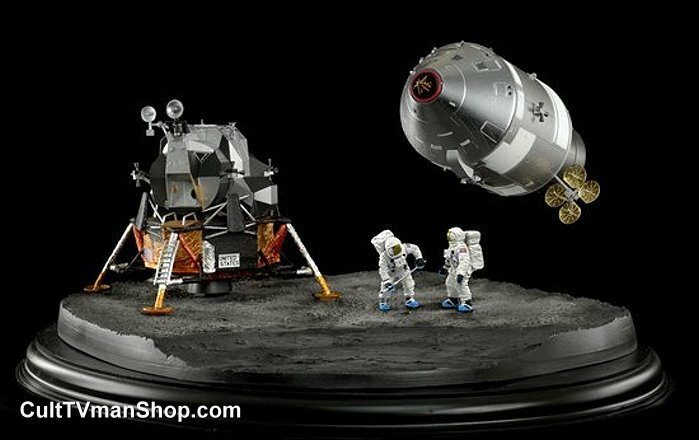 the lunar landing set includes moonbase, astronauts, flag, and support for the Columbia. 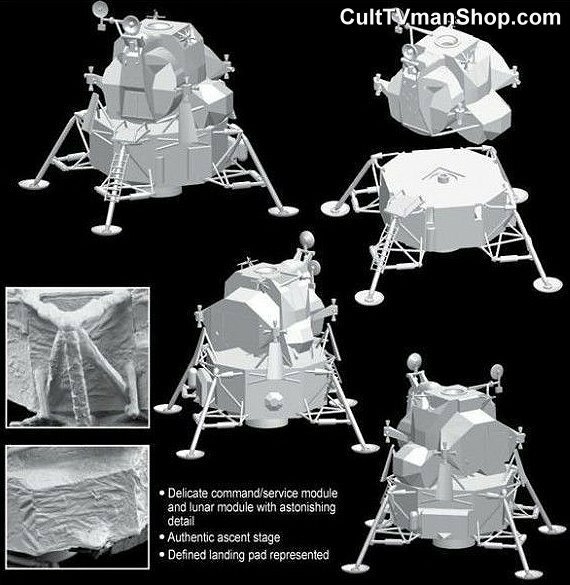 Other details include the docking probe assembly, heat shield, S band antenna, rendezvous radar antenna, docking target, photo etch service module antennas, landing gear, egress platform, and more. This is a model kit. 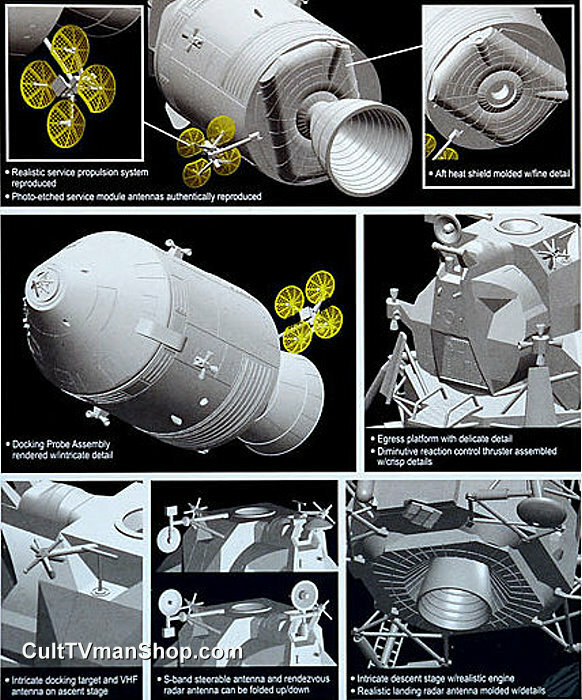 It is not a preassembled miniature. 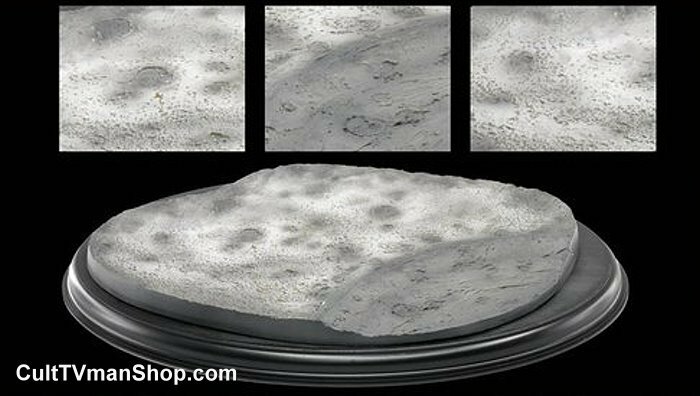 Order now and pay when the model is ready to ship! You must be logged into your account to place a Preorder Reservation. If you do not have an account, you may create one on the My Account page. The price will show as $0.00 and you will not be charged at this time. Your account must be in good standing to place a Preorder Reservation. Duplicate preorders will be deleted. Please do not place multiple preorders for the same product! Payment is expected within two weeks of the product arrival unless other arrangements are made. If you don't pay for your products, you will no longer be able to place new preorders. Do not place a preorder if you do are not going to pay for it! Cancellations are accepted up until payment is due. Once we request payment, we have purchased a kit for you and your order must be paid for.